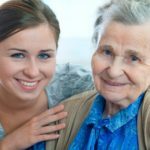 Caregiving, in general, is a challenge, but caregiving for a loved one during a very slow, natural aging process can be particularly difficult and can be quite different from caregiving for someone with a fast-acting or terminal illness and an “end in sight”. For senior loved ones who aren’t ill but simply fighting the effects of age, they may be with us for many years, though they will become less capable and sharp. 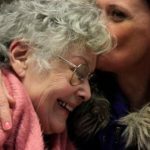 This slow decline is difficult to witness, especially for a senior who has been independent their whole life with a fruitful career and rewarding life. These seniors will probably feel disempowered and frustrated getting used to their new reality and coping with the effects of aging. When these strong, independent personalities develop limitations due to age, many feel vulnerable and embarrassed or even become depressed. These limitations are sometimes compounded over time; while some seniors may still be autonomous, they cannot drive or maybe even can’t do household tasks like taking out the trash. They may often lose things or start forgetting appointments. This often leads to feelings of frustrations and denial, especially when some seniors are unwilling to admit they are not as capable as they once were. Because of this, many seniors are unwilling to accept help from anyone, especially family members. 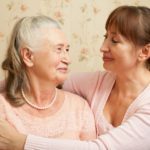 Caregiving is a difficult balance to strike between allowing your senior loved on autonomy and keeping them safe at the same time. Many times, it takes a serious incident like a fall for seniors to admit they need help, but it is important not to let it get that far. While your parent’s fear of falling is very real, so is your fear of failing at keeping them safe. Increasingly, our elder loved ones prefer the comfort of their own homes, even if these homes are no longer suitable due to limitations brought by age. It makes sense – as many things in our lives become less stable with age, like our physical and mental state, we cling to what is familiar, like the home we have lived in for years. As we age, any type of change is more traumatic – especially moving homes. If you think your loved one will prefer to age in place, it is important that they are in that place before the effects of aging set in. 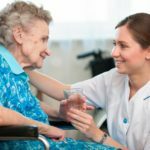 Aging in place has become so popular with the senior generation, and hiring caregivers for the senior generation has become popular with their children. This is especially true for families who live far away from their senior loved ones. In these situations, feeling guilty, worrying about them, and thinking that you aren’t doing enough for their comfort is natural – but professionals can help. 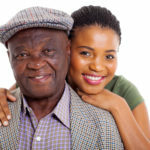 As the generation before us enters their golden years, we have hopefully learned something from caring for our aging parents and can better face our own realities. End of life scenarios are hard no matter which way you look at it, but advanced planning will help you manage a slow decline so that everything goes smoothly for your entire family.